The Journal of Archaeology and Education is a peer-reviewed, open-access journal dedicated to disseminating research and sharing practices in archaeological education at all levels. They include submissions dealing with education in all classroom levels as well as public outreach and professional development. 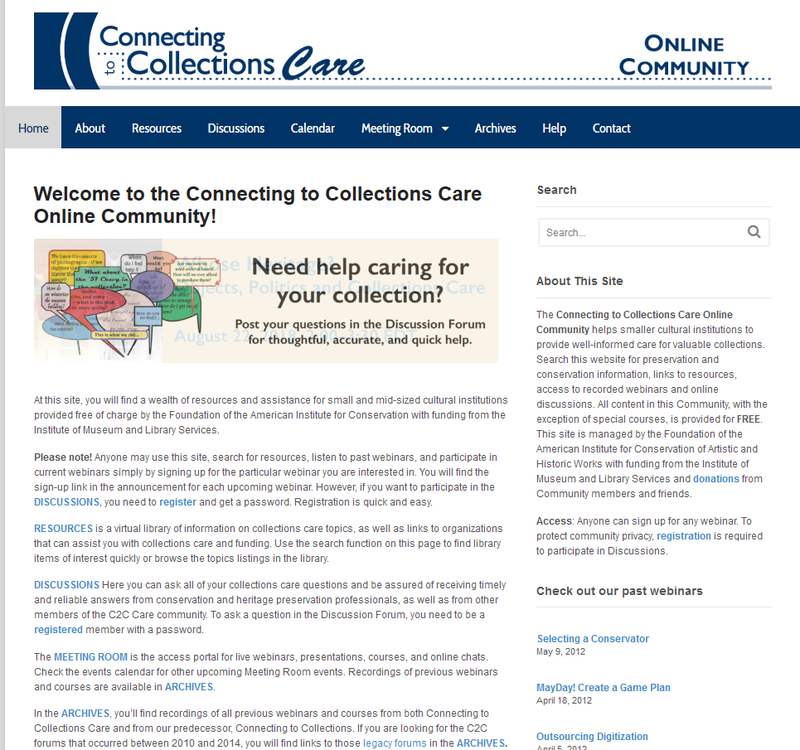 The Connecting to Collections Care Online Community helps smaller cultural institutions to provide well-informed care for valuable collections. This website contains information for preservation and conservation information, links to resources, access to recorded webinars and online discussions. The site is managed by the Foundation of the American Institute for Conservation of Artistic and Historic Works. 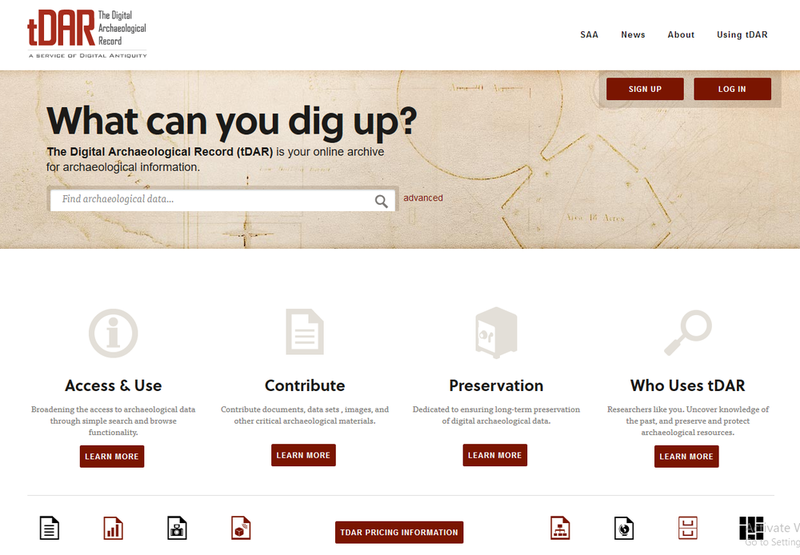 The Digital Archaeological Record (tDAR) is an international repository for digital records of archaeological investigations. tDAR’s use, development, and maintenance are governed by Digital Antiquity, an organization dedicated to ensuring the long-term preservation of irreplaceable archaeological data and to broadening the access to these data.